BarnOwl has a very powerful voting function, which enables you to configure and distribute surveys, questionnaires and Risk and Control Self-Assessments (RCSAs). RCSAs ensure that your owners are constantly assessing the adequacy and effectiveness of controls, as well as the inherent and residual ratings for risks. BarnOwl’s voting templates can be configured to recur at regular intervals, and you can use the Voting Template User list instead of having to add users each time a new vote is sent out. 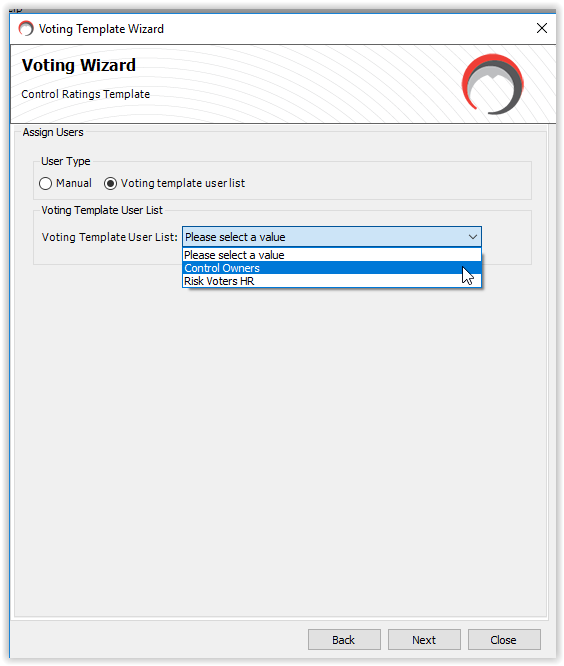 The voting template user list is not specific to a single unit, so you can add all users across the Organisational structure, however the user will only be able to vote on items (risks and controls) where he / she is an owner. This enables you to setup various voting groups such as Control owners, Risk owners, Compliance, Strategic, Operational, etc. 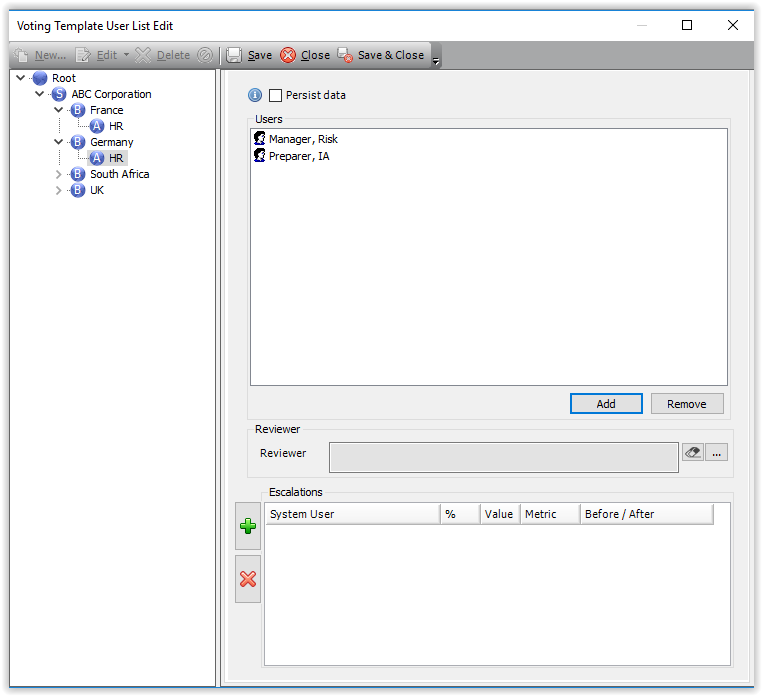 Note: Voting Template User Lists can only be created and selected in the BarnOwl Templates library. 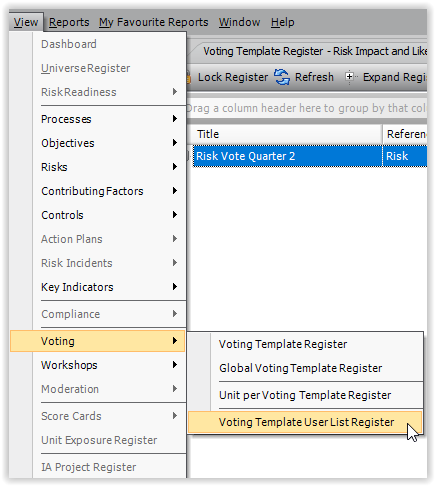 Before you create your Control and Risk Self-Assessment votes, you need to set up your user list(s) in the Templates tree. You can set up as many different user lists as you wish depending on which group of users need to vote on what items: e.g. Control owners, Risk owners, Compliance, Strategic etc. 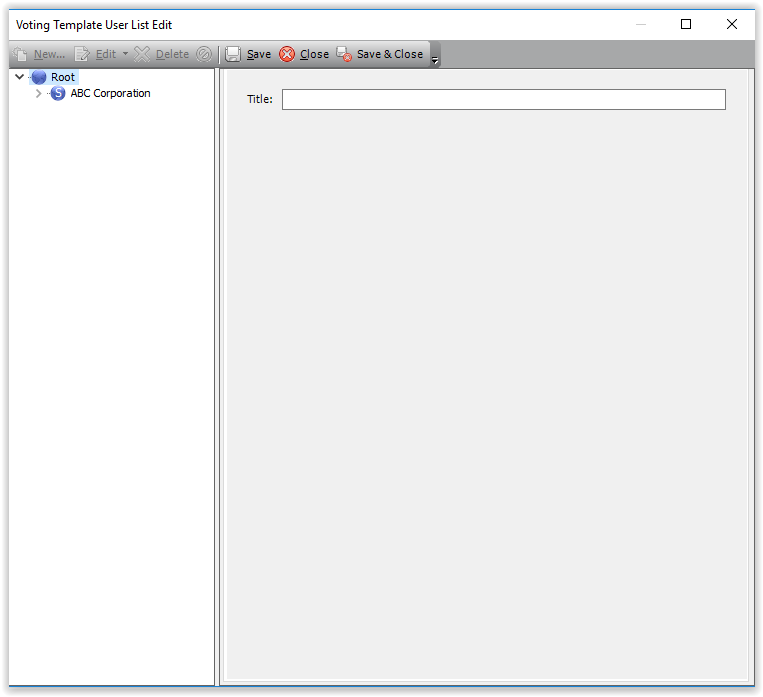 In the Templates library, select View > Voting > Voting Template User List Register. 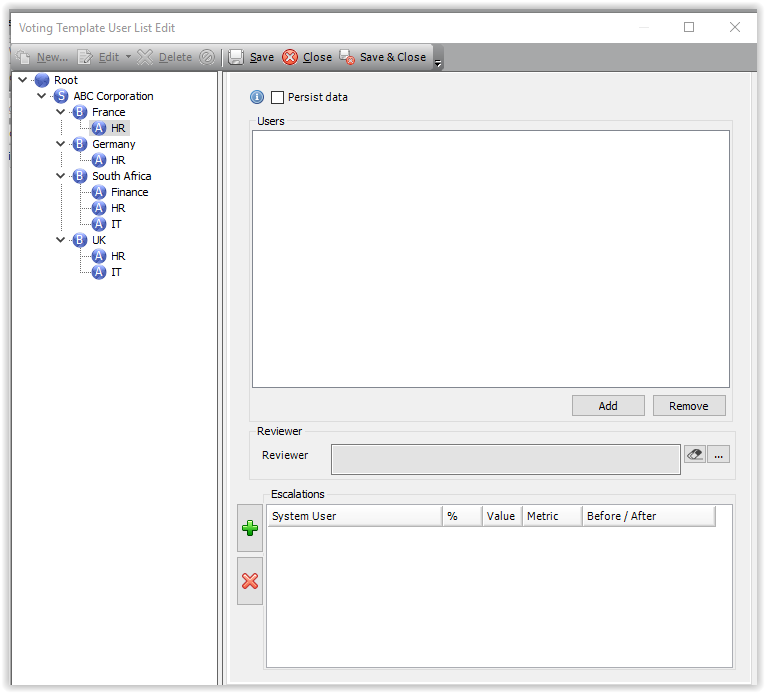 The Voting Template User List form is displayed. On the left is the Organisational Structure tree, and on the right is the “working area”, where you can specify the users and reviewers required for the list. Type a name for the user list. In this example, we are using “Control Owners”. When you have specified your list name, click Save (not Save and Close). In this example, we are going to use the HR Control Owners throughout the various HR departments in the Organisation. We are therefore going to create a user list for all the HR Control Owners. Expand the Organisational Structure tree and select a Unit. Below the HR Unit for France is selected. You can now add users. To do this, click the Add button, and select the users required from the France unit. (For information about the Select User form, click here.) You can also select Groups instead of Users. button next to the Reviewer field. Don’t forget to click the Save button for each unit. Once you have added users for a specific unit, you can move to the next unit. If you select the Persist Data checkbox, the users you captured in the first unit (France > HR) will be displayed when you click the next unit. If this checkbox is not checked, the users for the previous unit will not be displayed (but will be captured). This is used if you have overlapping users on different units. Select the next unit (Germany > HR), and add the users and reviewer as required. After you have captured all the users you require for this vote, click Save and Close. 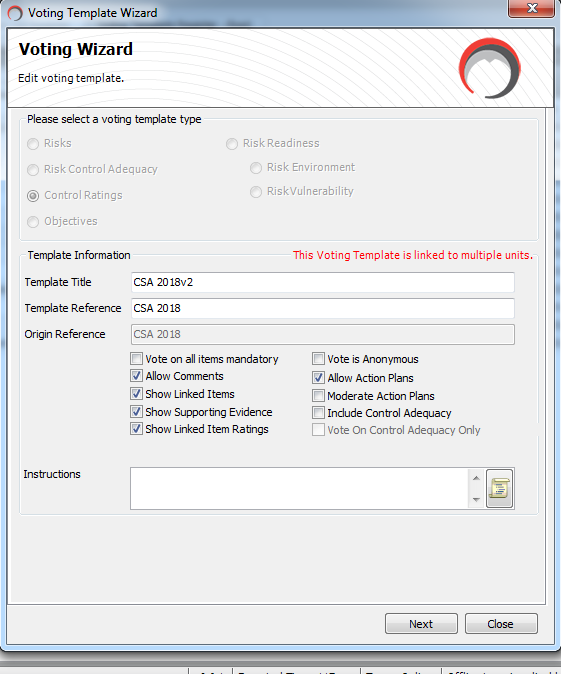 When setting up a Control Assessment or Risk Assessment Vote in the Template tree, you can select whether to add users manually or to use the Voting List. Remember, you must set up your Vote in the Templates tree in order to be able to select the Voting list. To setup or copy a voting template click on menu option View>Voting>Voting>Voting Template Register within the ‘Templates’ tab and right click in the r.h.s. 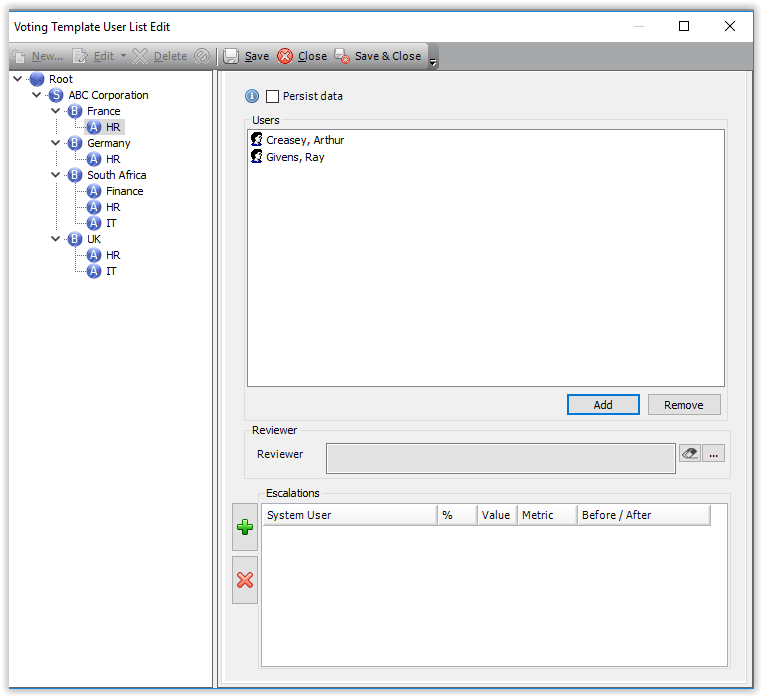 panel to capture a voting template or double click to open an existing voting template. On the ‘Assign Users’ page, you can select whether to add users manually or to use the Voting template user list. Remember, you must set up your Vote in the Templates tree in order to be able to select the Voting list. This screen shows the User page of the Control Ratings Vote. 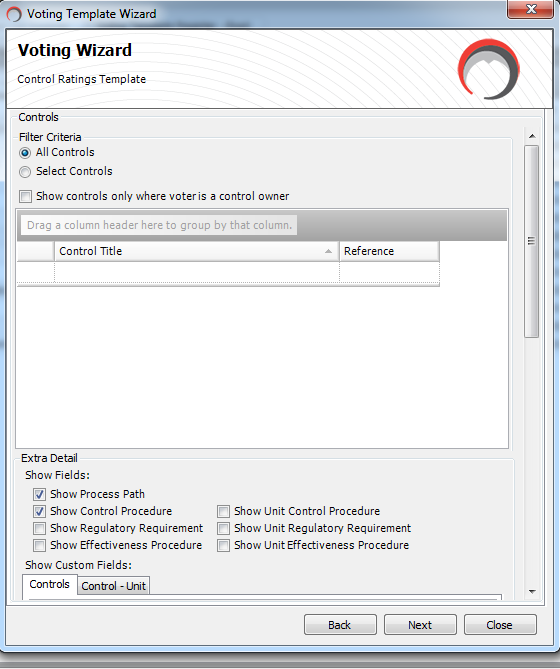 If you select the Voting template user list radio button, you can select the user list to be used. You can now apply the Voting Template to all the required units, and the users specified in the list for those units will automatically be added to the vote, and will only see their controls/risks (i.e. where they are allocated as an owner on the specific risk / control). For more information, see Creating Voting Template User Lists and Capturing a Vote Template. You can also use Voting Template User Lists when creating Surveys and Questionnaires in the Templates tree.